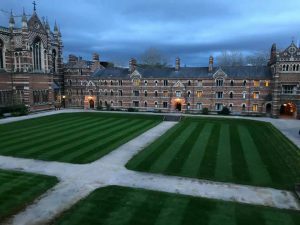 Matilda Chalk (2nd year Mathematical Physics student) recently attended the Conference for Undergraduate Women in Physics (CUWiP) UK in the Department of Physics at Oxford University with support from the School’s Diversity and Inclusion Committee. 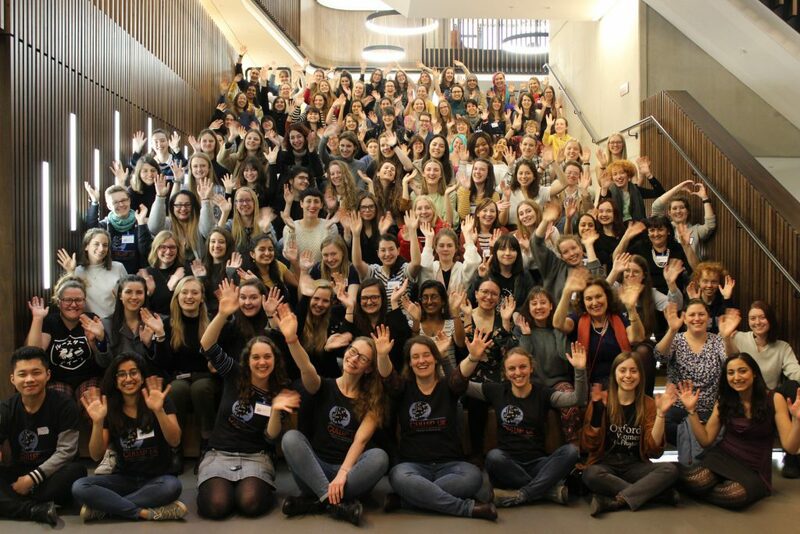 This highly successful annual event is hosted by the The Oxford Women in Physics Society, and brings together undergraduate women in physics to build community and focus on their career development. Last year’s report can be found here. The CUWiP in Oxford was an amazing event, inviting 100 female physics undergrads from across the UK. 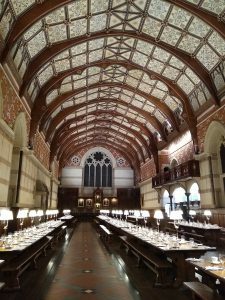 I was impressed with the grandness of the college I was staying in (there were porters to open the door to the dining hall – even at breakfast!). It was a privilege to meet and talk to loads of other passionate students and I met so many awesome people – I even saw a school friend who I haven’t seen since 6th form! 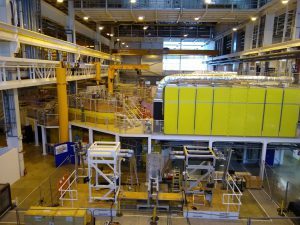 We had tours of the Rutherford Appleton Laboratories as well as Oxford’s own labs (the PhD student showing us the biophysics lab was particularly enthusiastic). I attended the medical physics workshop which was a great chance for me to explore career roles in medical physics while others went to the workshop on CVs and assertiveness which they found equally valuable. We had a variety of talks from a range of researchers and people in industry. My favourite was by Dr Rain Irshad who, after sending a letter to NASA when she was 8, got a reply with an application form to become an astronaut. Although this was her initial target, various obstacles have made it challenging and she has decided not to commit to this with a 2 year old daughter but she demonstrated an important lesson that “you can’t plan for everything so learn to adapt”. The careers panel sessions were also really interesting and it was reassuring to see the non-linear paths of people’s carers and how we can change our mind. Ellie Davies, who is now the lead analyst in the Committee for Climate Change, summed up her view, exclaiming “Why was I ever interested in particle physics? It doesn’t make a difference to anyone!” It was inspiring to hear the different challenges these women have faced through their lives and careers so far and their resilience and determination have reminded me why I chose to study physics and the increased possibilities for women in future.